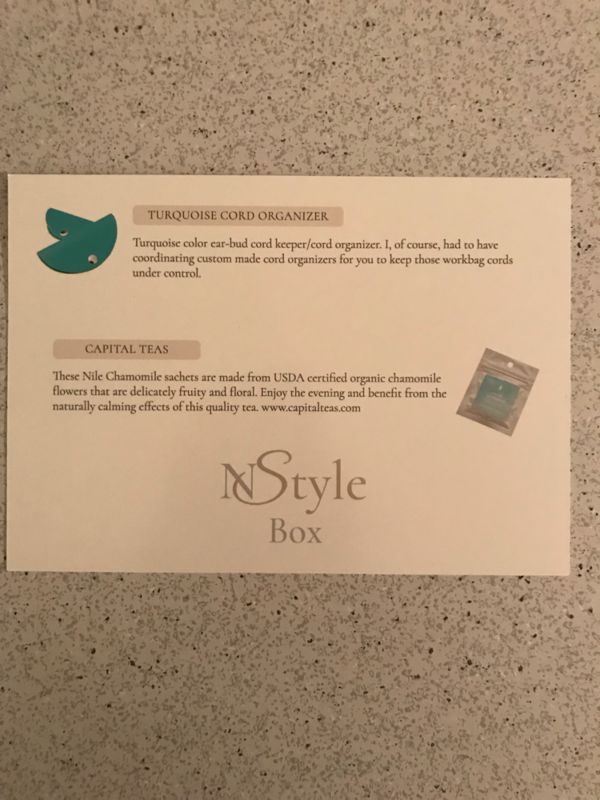 The At Home With Nikki NStyle Box is a bi-monthly subscription box. You will receive items from the following categories home decor, must-haves, DIY Projects, cooking necessities, home organization, and lifestyle. All items are chosen By Nikki herself. The Cost is $35 bi-monthly They do ship internationally for an additional shipping fee, which is different for each country. 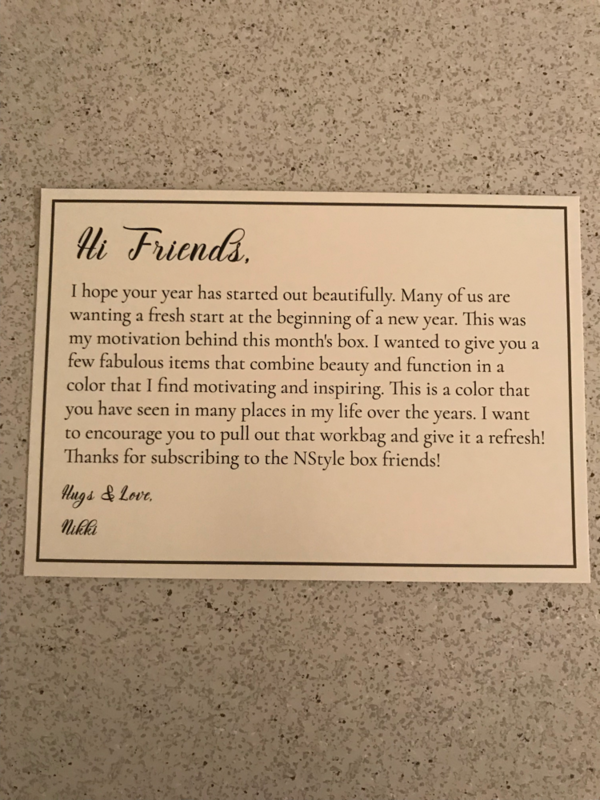 In each box is a large envelope contains different items, but the one item that is consistent is a note from Nikki herself. Also in the envelope is a card, and these are all thick cards, is a listing of the items and a description. 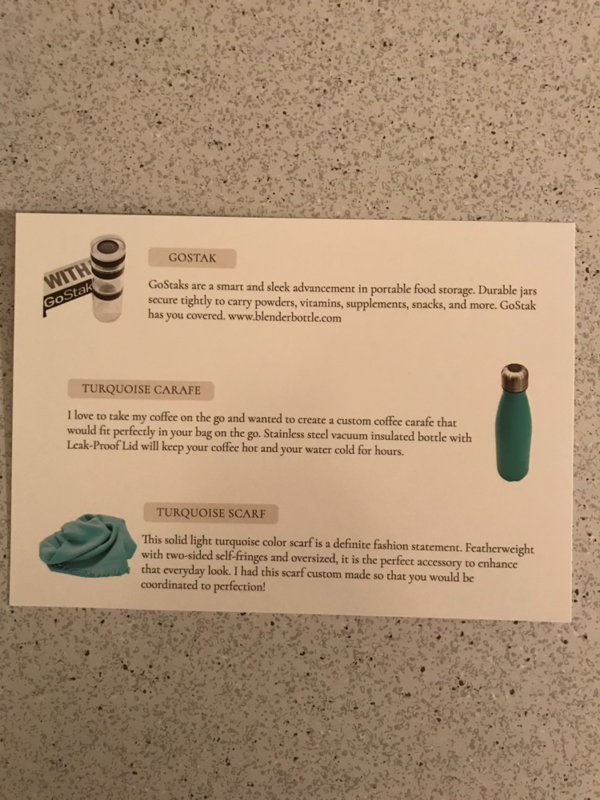 This month, I was a little disappointed with the product description cards. They used to have the companies name on the card, along with them email address. Some of the items themselves didn’t have a company name on them either. 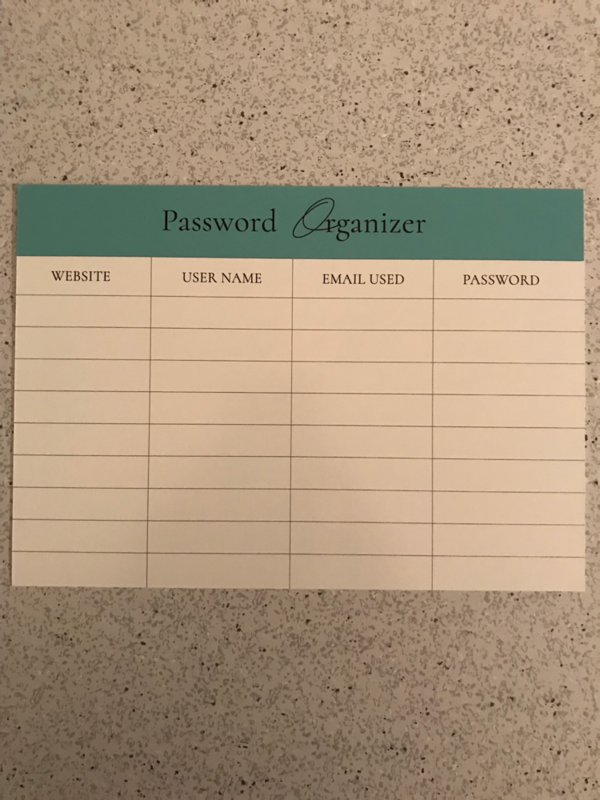 As your home organization item, this Password Organizer Card was in the envelope. This is nice with all the passwords we have to remember these days, however you just want to make sure that you keep this in a safe location and not travel with it, for obvious reasons. 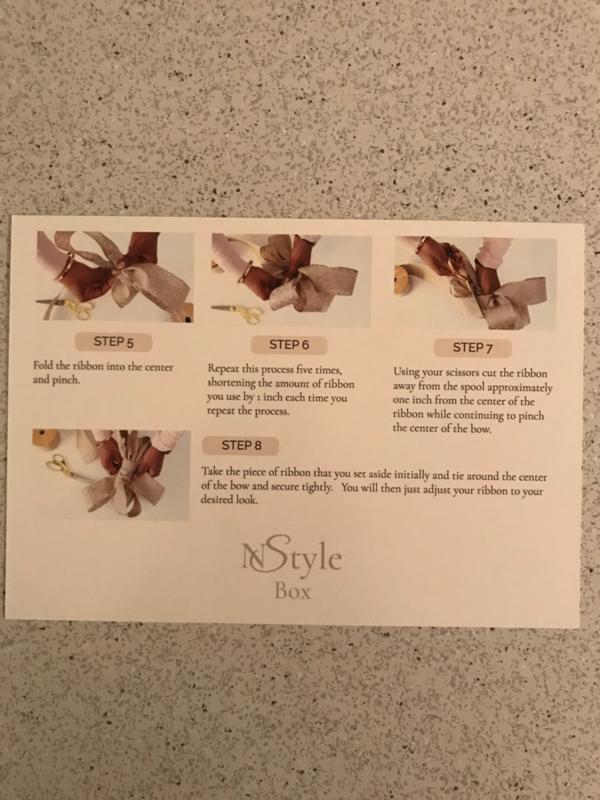 The DIY tip was how to tie a bow, which is a great thing to have on hand for those like myself who are not good at things like this. 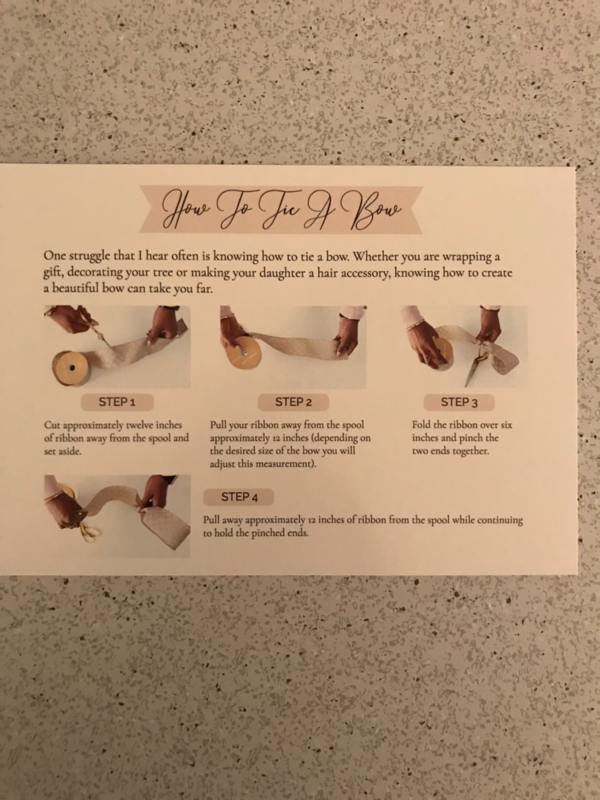 Though this is great, again I was disappointed because we received this same DIY Tip in a previous box around the Holidays, when it would be more appropriate for this tip. As you can see here the color scheme is Turquoise. Let’s get on to each of the products. 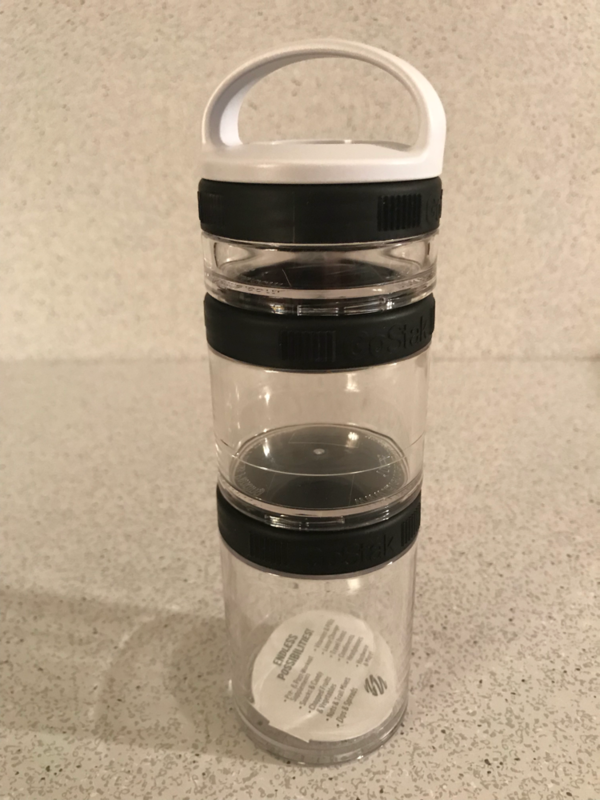 The containers all stack on top of one another and have a removeable Handle. It’s great if a lid gets stuck, you just screw back on the next container to loosen it up. It happened to me, and it worked nicely. As you can see the containers are all the different sizes. 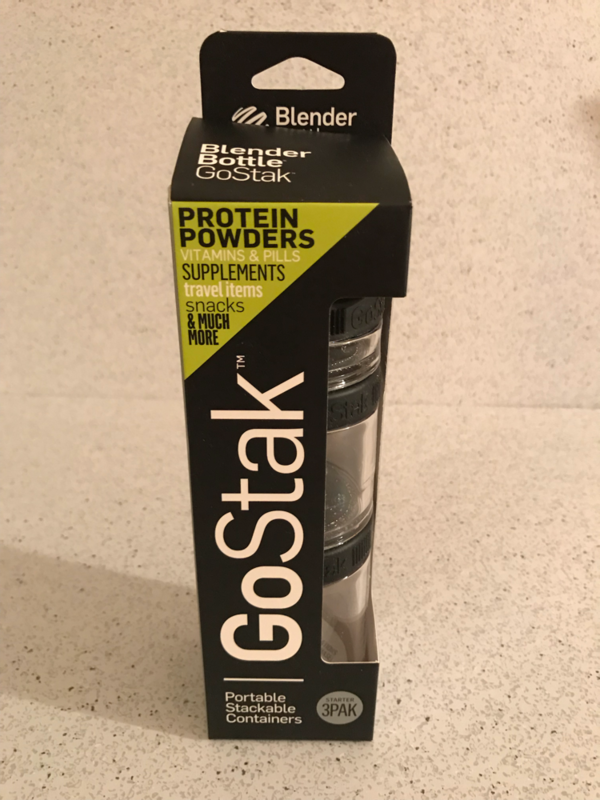 They can be used for pills, protein powders or supplements, or for snacks. I’ll definitely be using the small one to carry pills in my purse. 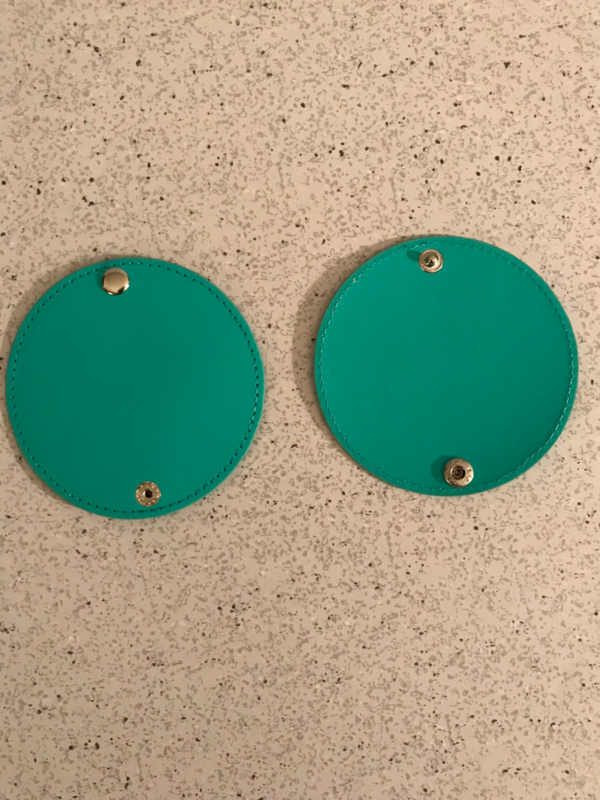 The normal pill holders are so small and they pop open easily. 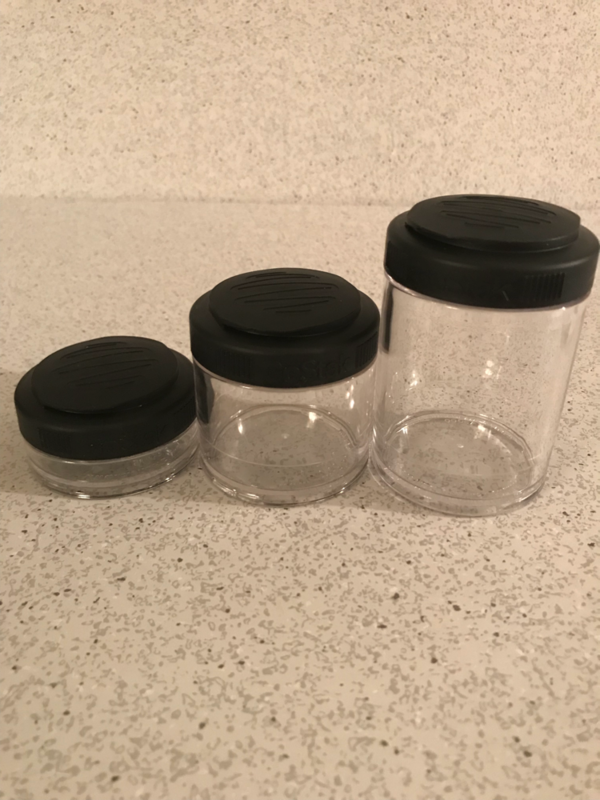 These are really great containers. 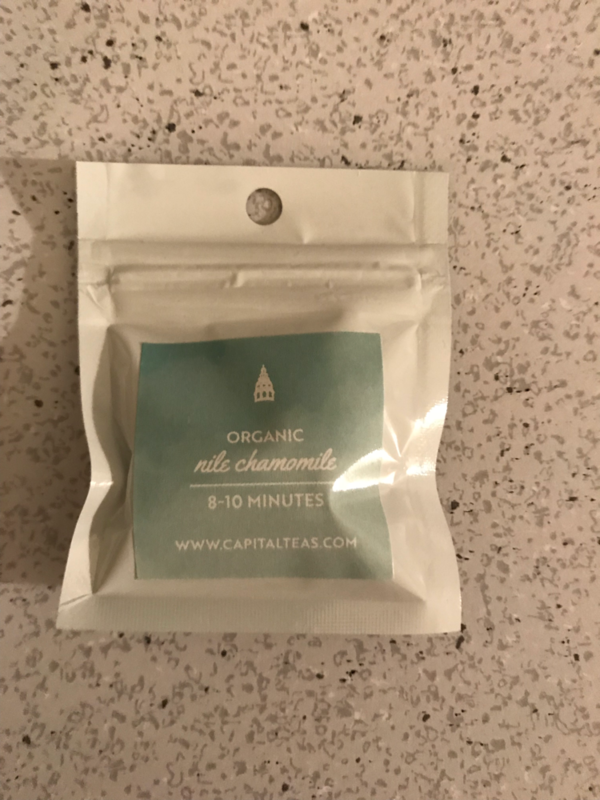 These Satchets are made from USDA certified organic Chamomile flowers. They are delicately fruity and floral. 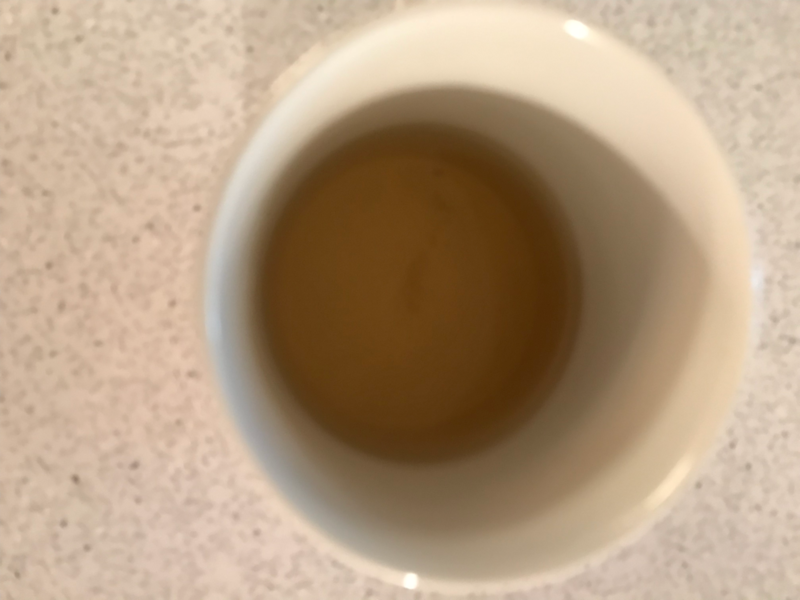 These tea is best to be drank in the evening to benefit from the calming effects. 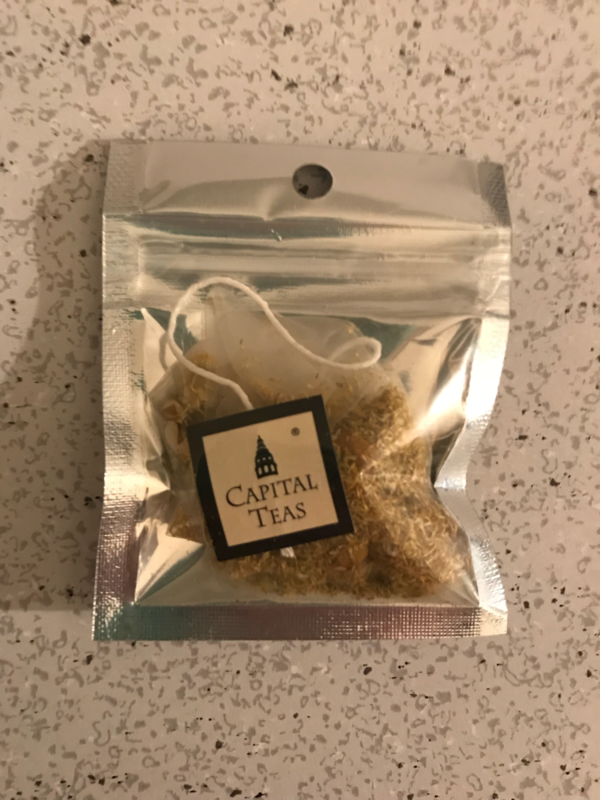 I didn’t allow my tea to steep the full 8-10 minutes, however this was one of the most delicious teas I’ve had in some one. I did add a little honey and some sugar substitute to mine. It was a very light tea and I must say did make me more relaxed. 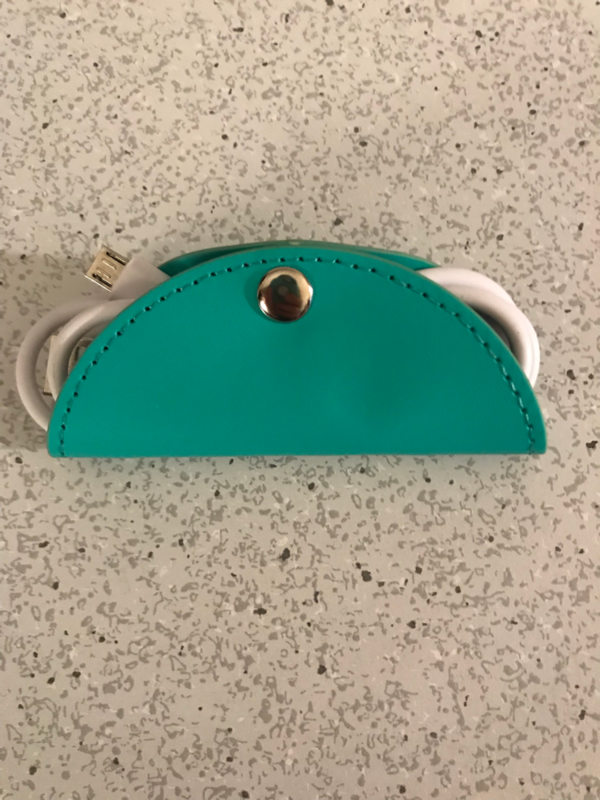 Turquoise Cord Organizers. 2 organizers Retail Value $8.00 ? I had to go based off of similar ones on the internet. I love cord organizers. Nowadays I have so many cords, and they end up taking up so much room in a drawer. I really like these, which I believe are called Taco coed organizers. I definitely need to get more of these, as I only have 3 now and I need a lot more. These definitely keep all your cords organized. Turquoise Carafe. 1 Carafe I’m guessing 16 oz Retail Value $19.95 ? Again, I had to go with similar items on the internet for pricing. 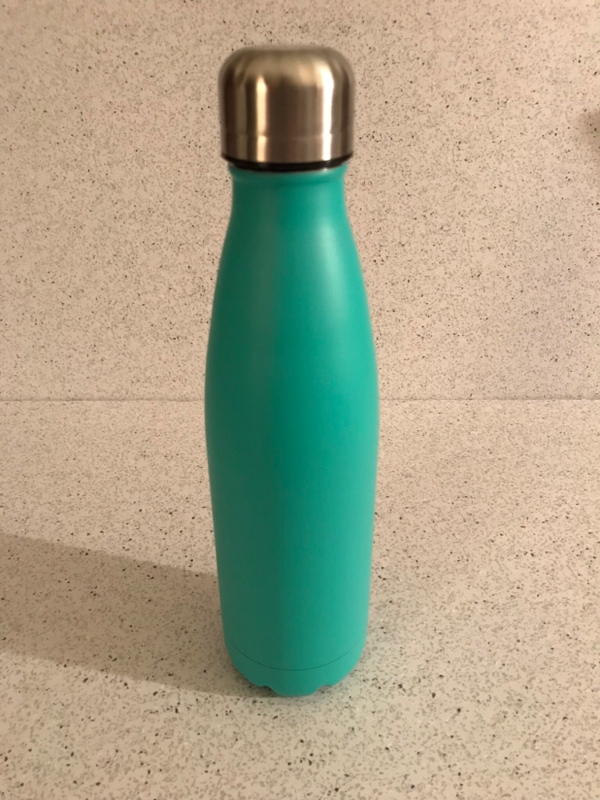 This is a stainless steel vacuum insulated bottle with a leak-Proof lid. I tested it out and it kept my coffee hot for about 3 hours and at about 3 1/2 hours it was lukewarm. I had finished it at that point, so I can’t truly say how long it would stay that temperature for. 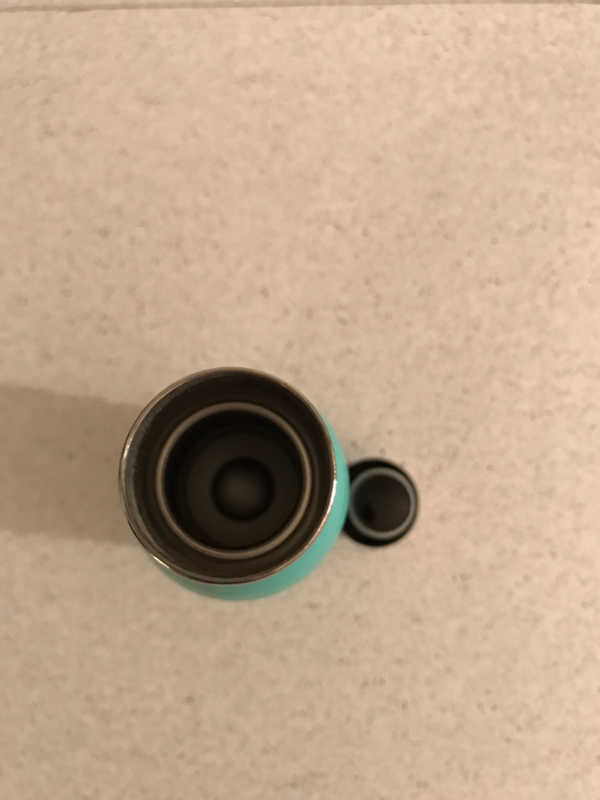 I’ve received these previously and most have stated that they keeps things hot or cold for a number of hours, but on the description card for this, it didn’t say how long it should keep beverages hot or cold for. 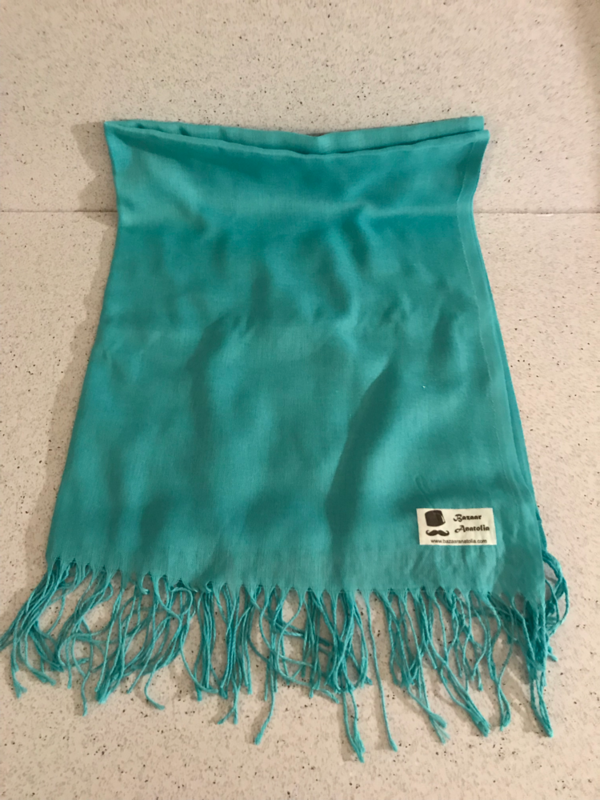 This is a featherweight, two-sided fringes and oversized custom made scarf. 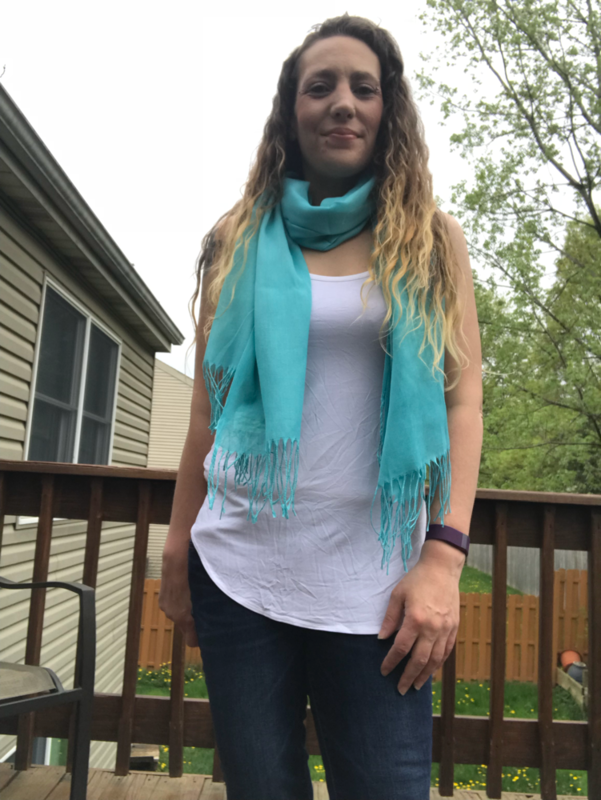 I’ve never worn a spring-like scarf before and never thought that I could actually pull it off, but I was pleasantly surprised at how it looked on myself. I actually like it, and plan on wearing it. 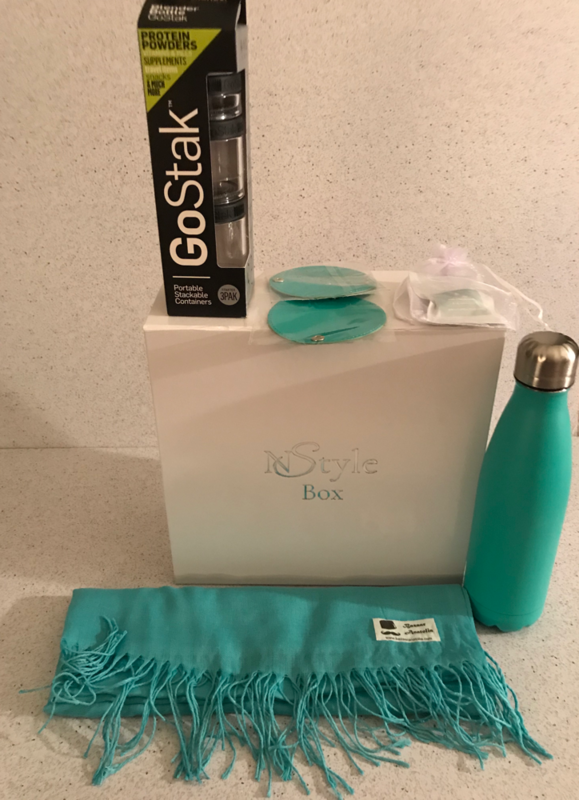 Overall Verdict: The Retail Value Of this box comes out to about $50.09 give or take because I had to guesstimate on three of the items. I think the retail Value is still great for a box that is $35. 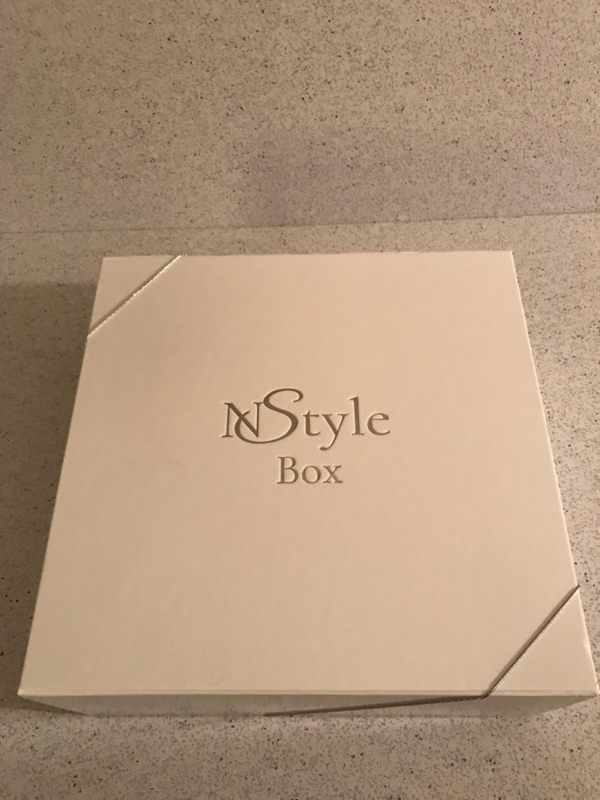 I was really pleased with all of the products in this box, as they will all go to use, which I tend to find with the NStyle Box. I really enjoy this box and look forward to getting the next one! What was your favorite item in the March Box?